To serve more and more readers the Ahmedabad branch of Acharya Shri Kailasasagarsuri Gyanmandir has been started temporarily, with effect from 19th November 1999 by the inspiration of Acharya Shri Padmasagarsuriji Maharaj, in the Paldi area of Ahmedabad where most of Jain families are concentrated. Approximately more than 4000 books, have been made available to the readers. Also information of all the books and manuscripts housed in Acharya Shri Kailasasagarsuri Gyanmandir, Koba, is readily available on the computer of this center. Thus the reader of this satellite center can have all the information and collect the books of Koba through this satellite center. Special service from Gyanmandir is available for Sadhu-Sadhvijis. 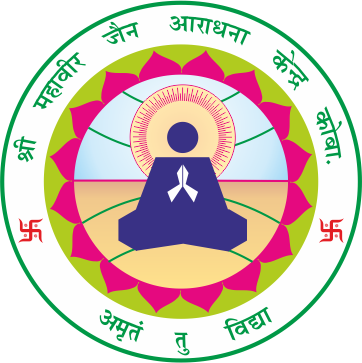 Gyanmandir is searching out and providing them detailed information to quench their thirst of knowledge. They are also provided Photostat copies of old manuscripts and books for their study, research and publication work. The reading facility is available in library for bonafide readers. Issue and exchange of books is offered. Acharya Shri Kailasasagarsuri Gyanmandir provides the reading-material to reader according to their status/ level. However the books are required to be returned before the prescribed time limit.